Temporary braces on 2,000-ton cantilever structure were removed yesterday. 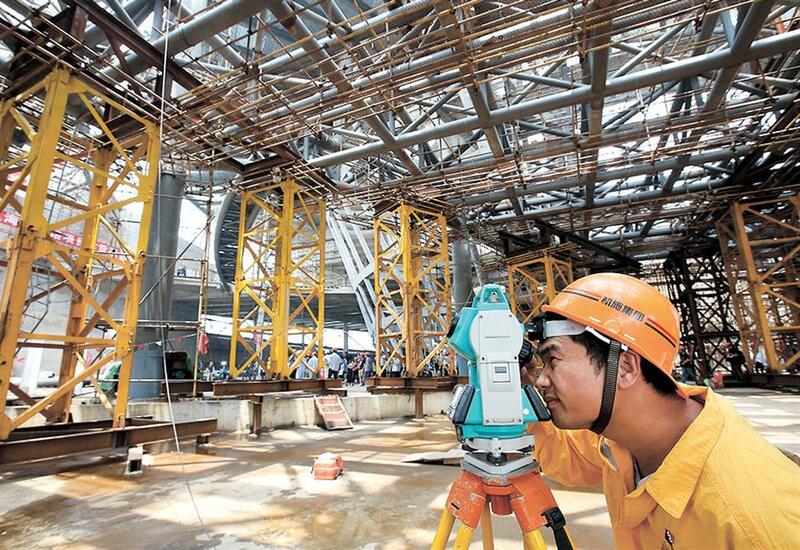 A worker observes the condition of the cantilever after removing the bracing system yesterday at the construction site of Shanghai Planetarium. Construction on the Shanghai Planetarium reached a milestone yesterday as temporary braces were removed on a 2,000-ton cantilever structure, the museum said. The 38,000-square-meter planetarium, a new branch of the Shanghai Science and Technology Museum, is in the Lingang area of the Pudong New Area. It consists of three sections, or “celestial bodies” — the Oculus, the Inverted Dome, and the Sphere. The cantilever structure is part of the Sphere. Steelwork on the Oculus and the Inverted Dome were finished earlier and the cantilever is the last piece of the museum’s steel structure. The cantilever structure was temporarily supported by 12 metal frames while another eight had already been removed. The structure can now stand on its own, without external support. By early June, nearly 85 percent of civil construction had been completed. Gu said after the curtain walls are installed, they will start decorating for exhibitions. Alexander Brandt, founder and creative director of Xenario, a company working on the planetarium’s exhibitions, was at the construction site yesterday to observe the recent progress. The main body of the planetarium will have three themed sections — “home,” “universe” and “journey” — where visitors can explore the universe and its fundamental principles. There will also be buildings for telescopes and youth activities. 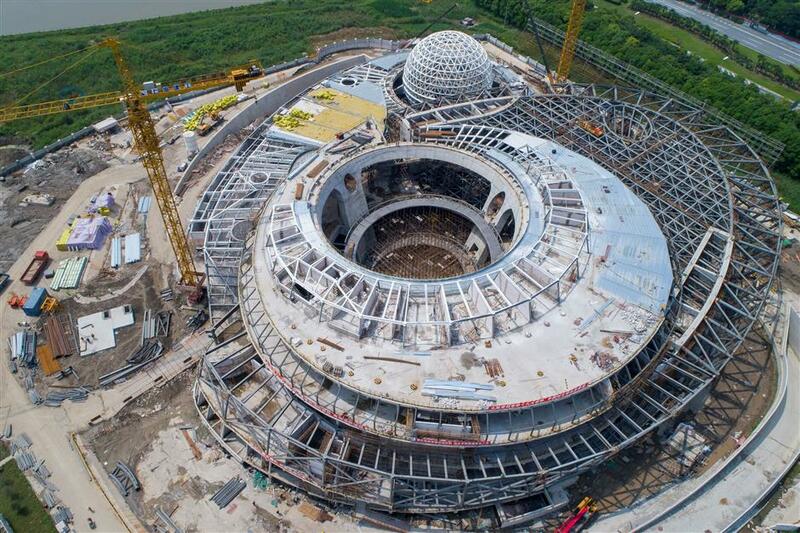 Once completed, the planetarium will be one of the largest in the world.